Fedde Academy is proud of all the accomplishments its students attain in middle school, high school, and beyond. We truly appreciate all the alumni who return to speak to our students about their high school, college, and career experiences. Thank you Fedde Alumni for being exemplary Knights! 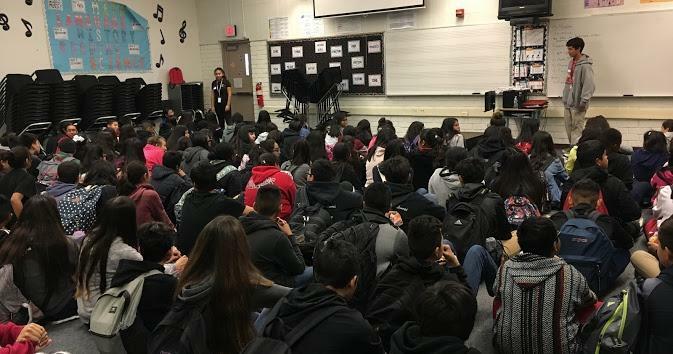 Melissa Gonzalez (c/o 2007) and Zachary Jaimes (c/o 2007) return to speak to 7th and 8th grade students about their experience with finals as freshmen at Artesia High school. 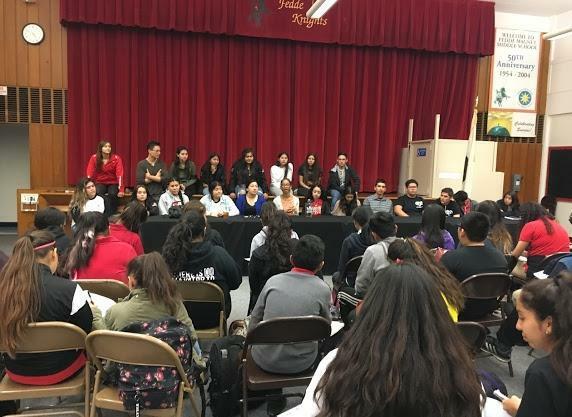 Fedde Alumni (c/o 2013) hold an alumni panel to share their experiences as high school students in ABCUSD.